With the holiday shopping season approaching, the American Gem Society has been receiving questions from shoppers seeking jewelry buying tips and secrets. We thought we would answer a few of our most frequently asked questions to help ease the pressure off this hectic season. 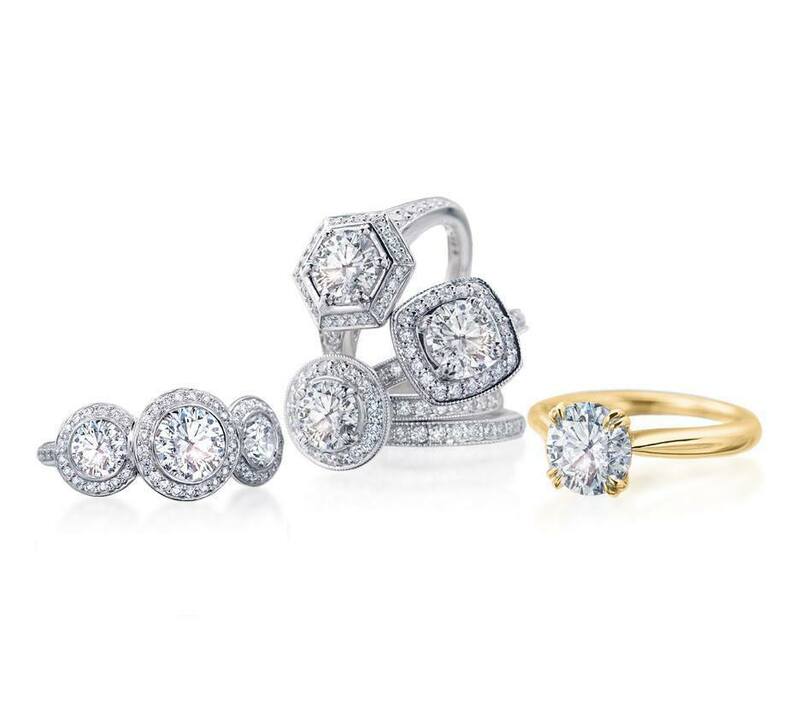 “How do I know if I’m getting a good deal?” Our answer is simple: trust your jeweler. Do your research, read reviews of their store, ask friends and shop with a credentialed jeweler. We take great efforts to vet all of our members, to make sure that they continue their gemological education and that they adhere to the AGS standards of standards and integrity. You can, of course, find an AGS member jeweler on our website at americangemsociety.org. “What’s your best advice for buying find jewelry online?” Our best advice? Don’t buy fine jewelry online. You need to see and touch what you are buying, especially when it’s something valuable. You can use the Internet for research, but for something as precious as jewelry, see it for yourself first hand! “Before I buy gems that have been altered to enhance their appearance, is there anything I need to know?” Make sure that the piece comes with the proper disclosures and that you understand how to care for the stones. Ask your jeweler if the treatments are permanent. For example, fracture filled diamonds can have their filling damaged by an ultrasonic cleaner or steam cleaning. Some irradiated stones are susceptible to color change with high heats such as that from a jeweler’s torch. “When should I get an appraisal?” There are different kinds of appraisals for different purposes. The most common reason for an appraisal is to obtain insurance to insure a replacement of equal quality and value in the event of damage or loss. For this purpose, either an Insurance Replacement Appraisal or Statement of Replacement Cost should be requested. The Insurance Replacement Appraisal represents the retail replacement cost with a comparable item. The Statement of Replacement Cost is provided by the actual seller of the item of jewelry and will report the actual selling price based on the normal selling price of that item in that particular store. In general, you want to get your appraisal updated every two years, or if you have a significant life change, like a change of address. Of course the best reason to get an appraisal is if the piece has significant meaning to you. 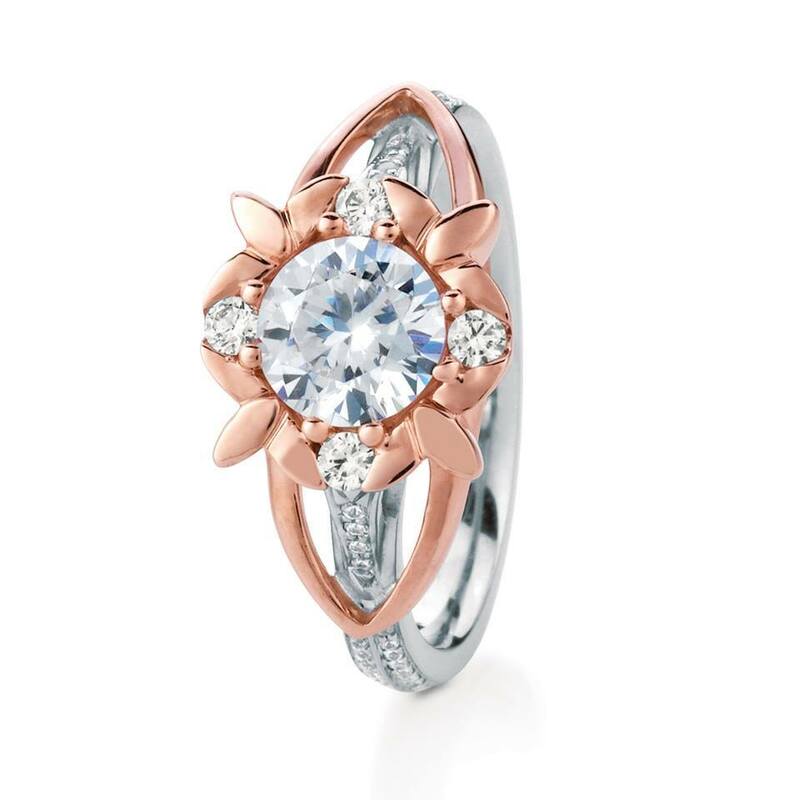 Maevona’s round brilliant diamond engagement ring set in white and rose gold—the best of two worlds. 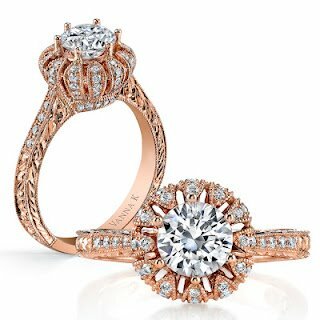 Vanna K does a royal take with this stunning diamond halo engagement ring. Check out the filigree on the shank of the ring. This is attention to detail at its finest. Another halo style, with a more minimalist approach, is this matching set from Simon G . This pair is heavy on classic beauty. To view more styles from members of the American Gem Society, check us out on Facebook.